Say the name AOL to a lot of people and you’ll likely get a the same response: “Are they still a thing?” followed by “I remember the ‘you’ve got mail’ sound.” Not too surprisingly, the majority of those who are familiar with the AOL name have no idea that it is a Verizon-owned, multinational digital media company that owns the Huffington post, TechCrunch, Engadget and MapQuest. The fact that most people only associate AOL with the early days of the internet may lead the company to change its name entirely. "If you ask me today, I could say, 'I feel very strongly about the AOL brand. It has a lot of legacy and meaning, and we shouldn't move away from it! But if we met tomorrow, I could be like, 'Yes! We need a new name!' It's a very hard needle to thread for us," said AOL's chief marketing officer Allie Kline, in a recent interview with Business Insider. While the name change isn’t set in stone, having a brand that conjures up images of free trial disks, dial-up modems, and the disastrous Time Warner merger is something that AOL doesn’t want. 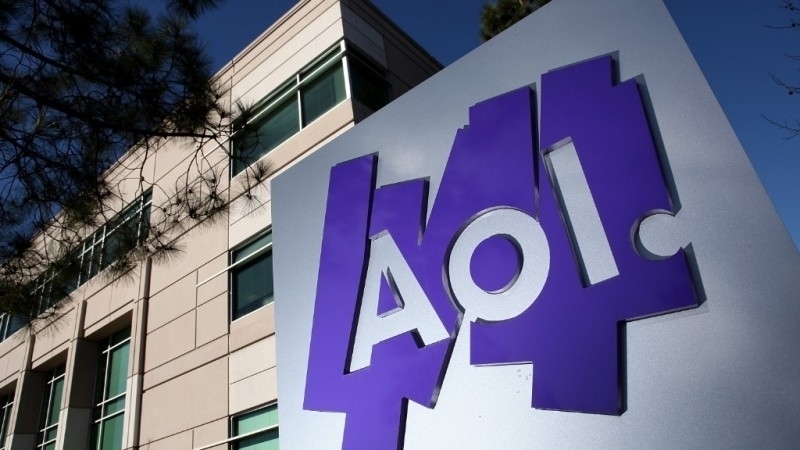 "The AOL name has many associations that people just can’t get past," says Sam Wilson, global principal at consultancy Wolff Olins, which led the company's rebrand in 2009. "The worst merger in history, charging old ladies for dial-up, and 'You've got mail.'" AOL wouldn’t be the first big tech organization to re-invent itself; Google famously restructured last year, becoming a subsiduary of Alphabet. Amongst other benefits, this helped Google avoid being known as just a search engine. AOL’s internal branding research has been pretty split down the middle. It seems that despite the some of the negative associations, there are still plenty of consumers who hold a nostalgic love for America Online. Whether the name change takes place or not, Kline says that this will be a big year for the company as it increases its focus on mobile, video, and global growth. "You should expect us to have an aggressive year," she said. Change it, don't tell anyone and no one will know.... cause no one cares. I think one big problem with the name is that people associate it with Dialup. AOL can be run on cable but everybody remembers the old dialup sounds while AOL connected... Regardless of name or redesigns, AOL will just never be relevant anymore. It has its time, but that time is over. I dunno. IBM is still kicking around. AOL is still full of bots, bugs, and lots of other trash. I don't think a name change will fix that! They are going to change it to LOL from what I've heard on the grapevine. Can connect to internet, but can't connect to AOL. How to escape from dell sonic software for accessing and downloading the games? Mutlimedia buttons not opening in IE, but AOL how to change it?